Travel the French countryside on this magnificent 9-day journey. Travel the French countryside on this magnificent 9-day journey. Start in the “City of Lights” as you explore the romantic streets of Paris. 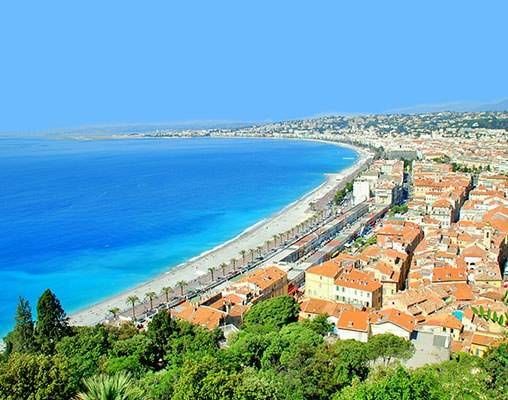 Then venture on the high-speed TGV train to the French cities of Aix-en-Provence and Nice. You will fall in love with the unique culture and architecture of each remarkable city. 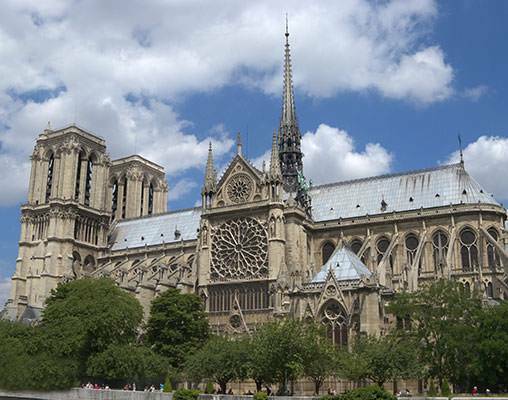 Morning guided sightseeing takes you to Notre Dame Cathedral, where Napoleon was crowned emperor in 1804, to admire its amazing 13th-century, stained-glass Rose Window. Pass the Latin Quarter, Les Invalides, the Opéra, Place de la Concorde, and Arc de Triomphe. 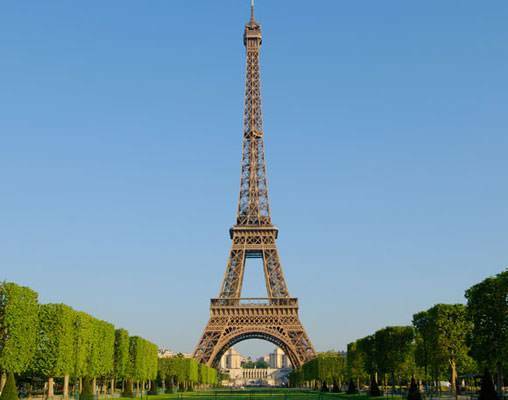 Drive by the Seine River with its beautiful bridges and stop to take photos of the iconic Eiffel Tower from one of the best panoramic viewing points. Also enter the world's most visited museum, The Louvre, with its modern glass pyramid, to see Da Vinci's Mona Lisa and other treasures. You'll be amazed at all the options available today. Perhaps a stroll through the charming Marais District with its stylish boutiques and ethnic eateries. Your Local Host will have many suggestions. 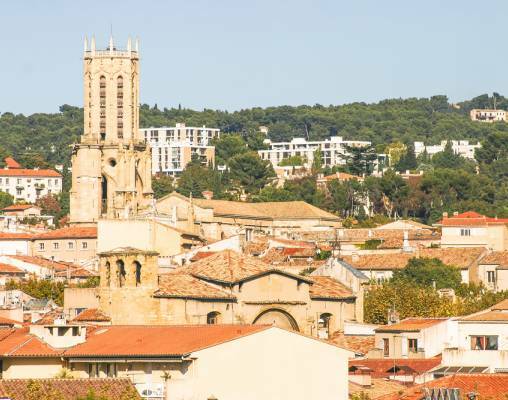 Travel by high speed TGV Train (first-class) to Aix-en-Provence. 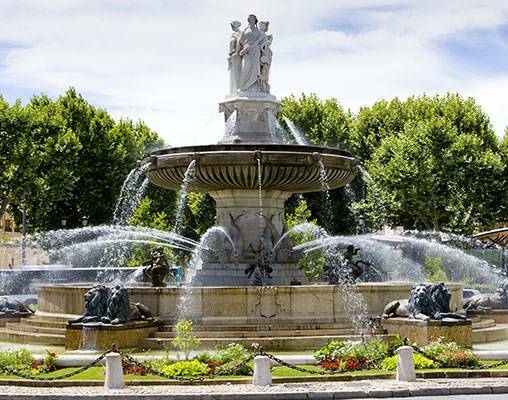 Enjoy a guided walking tour along the 17th-century Cours Mirabeau, a lively area with fountains, elegant homes, and famous cafés. Admire Mazarin Quarter, City Hall, the Jewish Quarter, and visit the Cathedral of the Holy Saviour, known for its interesting combination of architectural styles and the Burning Bush Triptych art masterpiece by Nicolas Froment. During your day at leisure in Cézanne's hometown, your Local Host will have suggestions such as where to sample Côte-de-Provence wine and bœuf-en-daube, or the best places to shop for faience pottery and lavender products. Travel by high speed TGV Train (first-class) to Nice. Your guided sightseeing features the Promenade Des Anglais, originally built in the second half of the 18th century and the most famous boulevard in Nice. 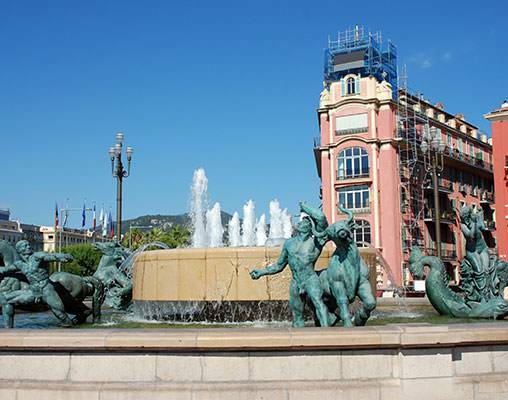 Walk through the Old Town to admire fine examples of the Belle Époque. See Cours Saleya with the Kings of Sardinia Palace and flower market, and the lovely Palace Square with Palais de Justice and Palais Rusca. Your Local Host has many ideas for your day at leisure. Why not visit the Matisse Museum, or relax and sip a pastis with the locals on the Promenade at sunset. This inviting 134 room boutique property is built in a courtyard style around the swimming pool and garden terrace. Free Wi-Fi access is avilable in all guestrooms and public areas of the hotel. A beautiful seasonal outdoor swimming pool and terrace offer the perfect place to relax and unwind. The hotel restaurant serves traditional southern French cuisine which can also be savoured on the outdoor terrace and the hotel bar offers a good choice of snacks and drinks. This recently restored, 7-storey hotel features 150 guestrooms and a rooftop terrace with seasonal swimming pool and amazing views over Nice. The chic L'Horloge Restaurant serves tasty local specialties prepared by Chef Julien Perrier; while the 7th-floor 7 Blue Bar is the perfect place to relax with a cocktail. Free Wi-Fi access is available in all guestrooms and public areas. 3rd May 2019 $2,177 Please call for availability. Enter your details below if you would like to be notified when 2020 dates and prices are available for Paris, Aix-en-Provence & Nice. Prices are land-only, per person based on double occupancy. Prices are correct at the time the web page is published; however, prices are subject to change. Transfers are available for an additional charge as well as sightseeing.